They are made of thin corn dough and they look like pancakes. When they are cooked on a grill, the thin dough becomes crisp. They are stuffed with a variety of fillings: chicken, cheese, and onion; beans and cheese; unknown meat, cheese and onion; just cheese and onion, and I imagine many other varieties. They are topped with a local pickled coleslaw type salad and hot sauce. They are cheap and filling.two for a dollar make a meal. Of course, we overdid it. They are called pupusas. They are the national snack of El Salvador. My honey enjoying taking a pupusa, at the pupuseria. We were surrounded by pupusa stalls. Note the fresh squeezed mugs of juice. 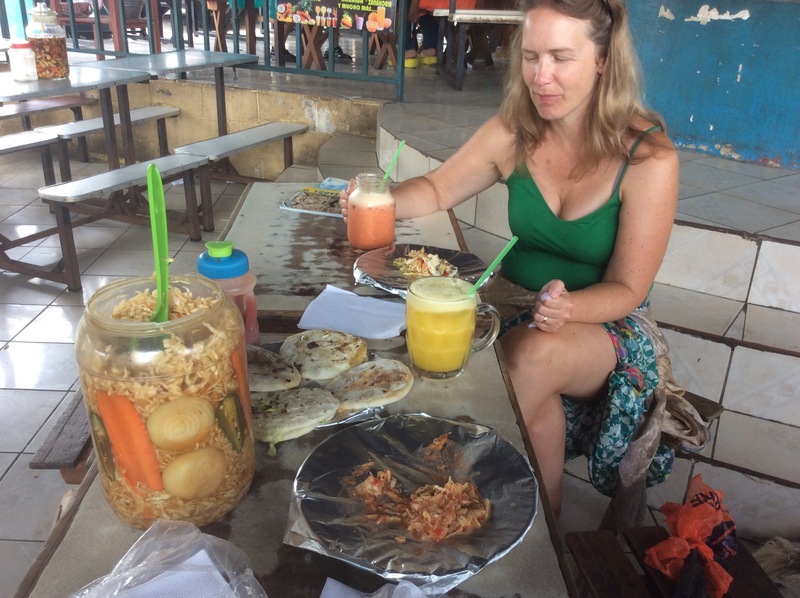 Eight pupusas and two huge glasses of fresh juice for seven dollars and fifty cents. Enough left for supper! 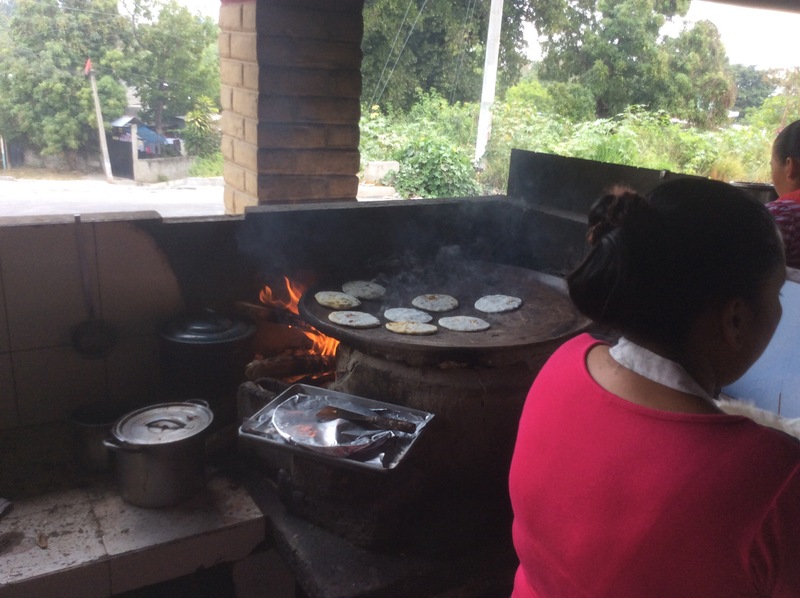 What part of El Salvador is the picture with the women making pupusas from? We think it must have been San Juan Talpa.